Now, when we discuss animal sentience, compassion and empathy in the classroom during ACT Asia’s Caring for Life program, my students have an actual example to inspire their learning. They know that they can make a difference in the world. This is possibly the most powerful lesson for them: knowing that they can change the world and do good. There are times that education can change behavior much more quickly than you might think, which is why ACT Asia is so committed to our school program in China. This Christmas, we want to share this heartwarming story from a teacher in Xiamen, China, who wrote to us recently. Her school had been running the ACTAsia program for less than a year at the time. I am a teacher at Xian Yue Primary School, Xiamen. 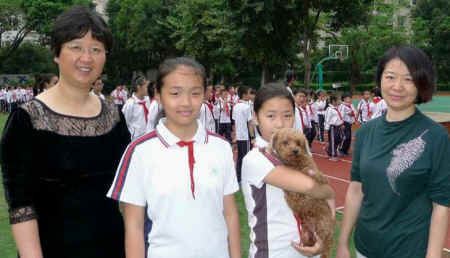 Several months ago, some of my students came to me with an unexpected request: to help them care for an injured dog. 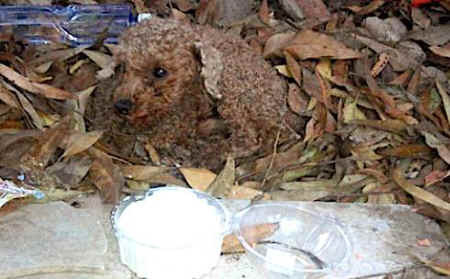 The dog had been lying in a ditch for days, with two of his legs broken. My students had been caring for the dog, but sadly, students from another school had not been as kind to him and were tormenting him by throwing rocks and sticks. I was concerned for my students’ health and safety but I also felt very sorry for the dog. I agreed to help and we managed to get him to a local vet. His treatment was so expensive! 3.800 RMB (approx. 550EUR) but my students were adamant that we should try to save him. With the help of the vet, he recovered and is still with me today. My students often come to visit him and for those that can’t, I post Babao’s news every week on the school noticeboard. 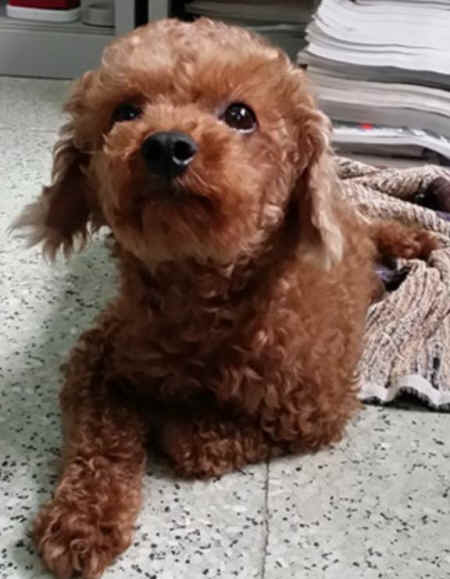 There are countless dogs like Babao and millions of students that we still need to reach. But for every child who takes part in ACT Asia’s humane education program, there is the hope that many animals will be spared suffering and neglect. China is starting to change, one step at a time. Let’s do more. As Christmas is a time for giving, we hope you will feel inspired by these students and continue to support the work that ACT Asia is doing in China. I hope you all have a lovely holiday season.